The Center for Language Research (CLAR) is a multidisciplinary center dedicated to the study of language from the perspective of different humanities and social sciences. 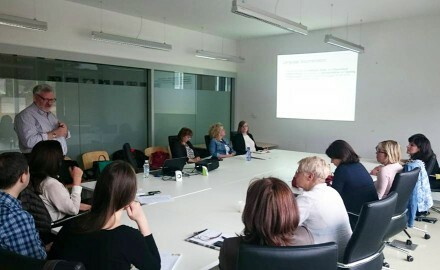 The center was founded in March 2015 with the aim of fostering cooperation between researchers working at the Faculty of Humanities and Social Sciences in Rijeka Faculty of Humanities and Social Sciences and sharing interest in the phenomenon of language and in multidisciplinary research. Their cooperation and work on joint projects aims to advance the study of language at the University of Rijeka and in Croatia. Read more. The Center for Language Research (CLAR) at the University of Rijeka, Croatia invites you to participate in an international conference on Perspectives on Linguistic Diversity. We invite proposals for papers on any topic related to the domain of linguistic diversity, either from the perspective of linguistics or from the perspective of other disciplines in the field of humanities and social sciences.